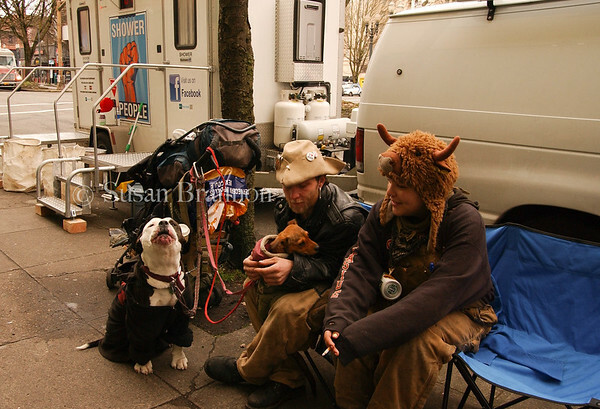 The Crossing Borders Project Photo documentary on the homelessness in Portland, Oregon. Funded by Kickstarter. The project distributed camera's to Portland's homeless and conducted 6 weekly workshops. Following are their photo stories. Showers are hard to come by for the homeless. A mobile shower until is parked in the downtown center.